Jeff has been featured on HGTV, FYI Network, Lifestyles & Luxuries, CNN, and other national & local news affiliates. In 2016 he was chosen as one of San Diego’s Top 5 Brokers by the San Diego Association of Realtors, and one of SD’s Top Five Favorite Realtors by LOCALE Magazine. He has been voted one of San Diego’s BEST Agents by the San Diego Union Tribune along with his company, Sand & Sea Investments multiple years. His hundreds of positive client reviews on Yelp, Zillow, Google, and more are a result of his premium customer service, vast experience and resourcefulness, and overall commitment to excellence. 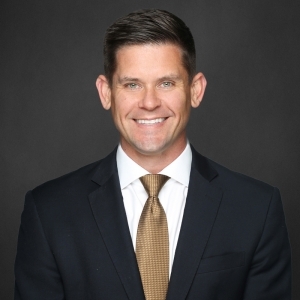 Jeff is the Broker of Record and Owner of Sand & Sea Investments, and is one of only four Master Certified Negotiations Experts (MCNE) in San Diego. He manages a superior team of Agents that assist both Buyers and Sellers. All Agents are seasoned, trained, certified negotiators and as a team, provide comprehensive concierge real estate services all over San Diego County. Jeff previously worked as an Operations Manager for the PGA TOUR for nearly six years and prior to that, worked as a consultant for KPMG/BearingPoint. He serves the community as a Board Member of the Century Club of San Diego, and is a proud member of The San Diego Nice Guys. He lives in Point Loma with his wife, and two sons. I needed help selling my condo, but wanted to do so off-market. After reaching out to four other agents, I knew Jeff was the one because of his extensive buyer network, Agent reputation, office location/profile, and marketing expertise. Sure enough, it sold in less than the average market time - at a price that I was very happy to receive. Jeff and his team did an outstanding job communicating during closing, and even had a nice bottle of company-branded wine for me at closing! True class-act. Great work Sand & Sea! My wife and I were very fortunate to have been introduced to Jeff Grant. Working With him was an awesome experience. Jef is a cool headed, very professional and personable individual who successfully guided us through a particularly difficult transaction considering all the parties, contingencies etc. involved. He saved my sanity more than once as we negotiated our way through the process. Rita and I have gone through several real estate transactions and I believe she would agree, this has been the most difficult. We were very fortunate to have Jeff representing us. He is the best! We definitely will recommend Jeff Grant, Sand and Sea Investments, services to any potential buyer or seller we happen to meet in the San Diego area. Jeff was so wonderful to work with!! He sold our condo in a timely manner and kept us in the loop every step of the way. His suggestions on selling price and tactics were spot on and now that we sold our condo, I'm happy to say we will be house hunting with Jeff very soon!! Jeff and his team helped us find and buy our first home and we can't be happier with their service. Jeff was incredibly patient and knowledgeable in answering my endless questions. He was always flexible with his schedule and our changing ideas. Once we decided on a home, Jeff and Sheri held our hands through every step of the process and kept the paperwork flowing despite my inexperience. I'm sure buying a house is never easy, but I'm equally sure we had one of the smoothest experiences possible. And I'm certain that's thanks to Sand and Sea's sheer competence. It's no wonder they have 100% 5-star reviews. Jeff and Sand & Sea are as good as it gets. I'd go as far as to say Jeff is the Top Realtor in San Diego. As a commercial real estate investor, my expectations for a broker are very high. Jeff has always exceeded expectations in every aspect. Jeff is honest, straightforward, organized, and most importantly Jeff has the experience to anticipate issues before they arise. As both a buying and selling client, Jeff's transaction foresight put my wife and I in advantageous positions during our escrows allowing us to negotiate from a strong position. I highly recommend Sand & Sea to anyone buying or selling real estate in San Diego County. Jeff Grant is one of the most professional Real Estate Brokers I have ever dealt with. He helped to sell our Probate Estate property in La Jolla (over 1.6 million). Professional, reliable, and great communicator! His response time to questions and concerns are immediate, and there was never a question of weather he was acting in our best interest. If you want an agent that is experienced and well presented, then Jeff Grant is your guy!! Best realtor we have ever used. Very professional, knowledgeable, thoughtful and responsive. Couldn’t have asked for a more helpful realtor. Helped us tremendously find our dream home!